Assignments include Quizzes, graded Discussions, and online submissions (i.e. files, images, text, URLs, etc.). Assignments in Canvas can be used to challenge students' understanding and help assess competency by using a variety of media. The Assignments page shows students all of the Assignments that will be expected of them and how many points each is worth. Assignments can be assigned to everyone in the course or differentiated by section or user. The Assignments page supports keyboard shortcuts. Press the comma key and a pop-up window with keyboard shortcuts will appear for keyboard navigation. 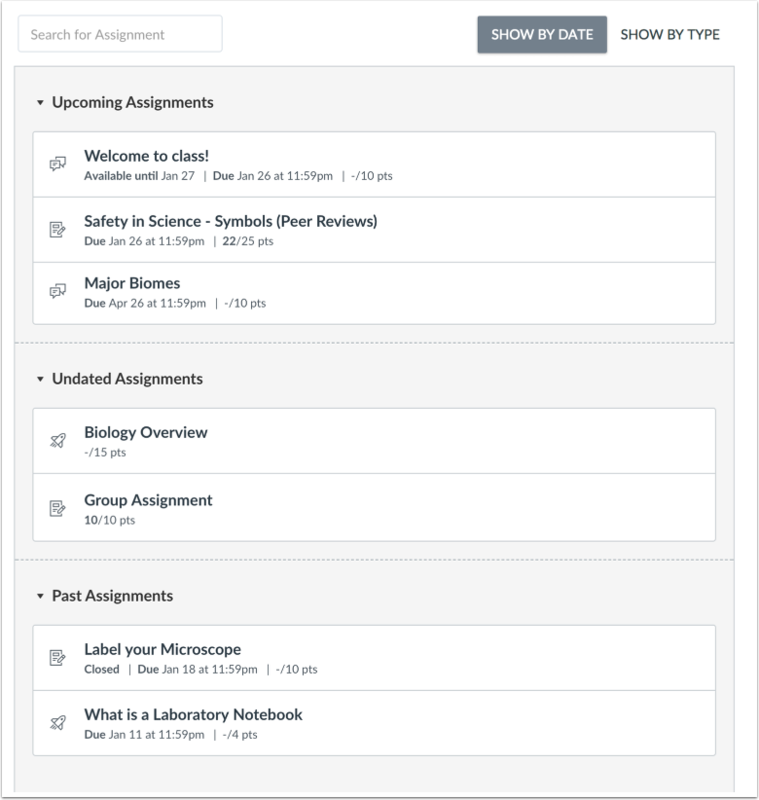 Any assignment created and published in the Assignments page will automatically show up in the Grades, Calendar, and Syllabus features so students can view them. The reverse is also true: any assignments created in the Calendar will automatically show up in the Grades, Assignments, and Syllabus features. Assignments can also be organized in Modules. When would I use Assignments? Any assignment created by an instructor in the Assignments page will automatically show up in the Grades, Calendar, and Syllabus features. To access an assignment, click the name of the assignment. Next Topic:What is the Calendar? Table of Contents > Canvas Features > What are Assignments?